Ponte delle Sirenette. Photo © by Michele Fini. 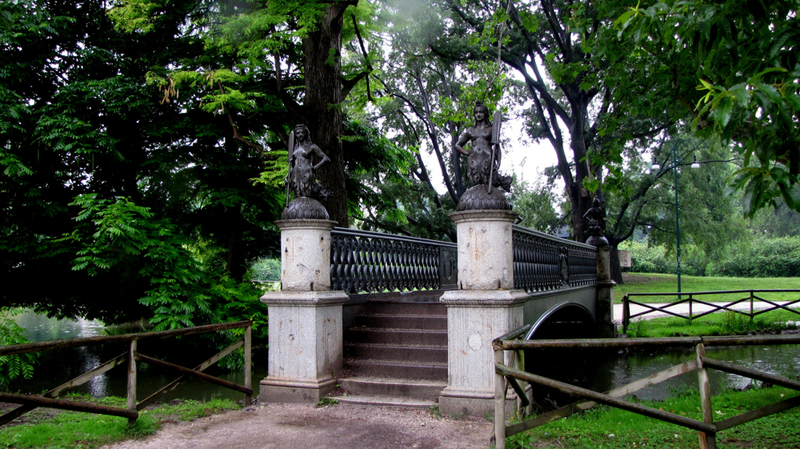 Originally installed as a bridge across the canal, the Ponte delle Sirenette was part of the city life until it was moved into the park. It features in literature and novels – one can see how it could lend itself to intrigue, mystery and romance in its original location. In the new location, just over a mile from the original location, the Bridge of Mermaids is under a canopy of trees and spans a narrow section of lake inside the park. 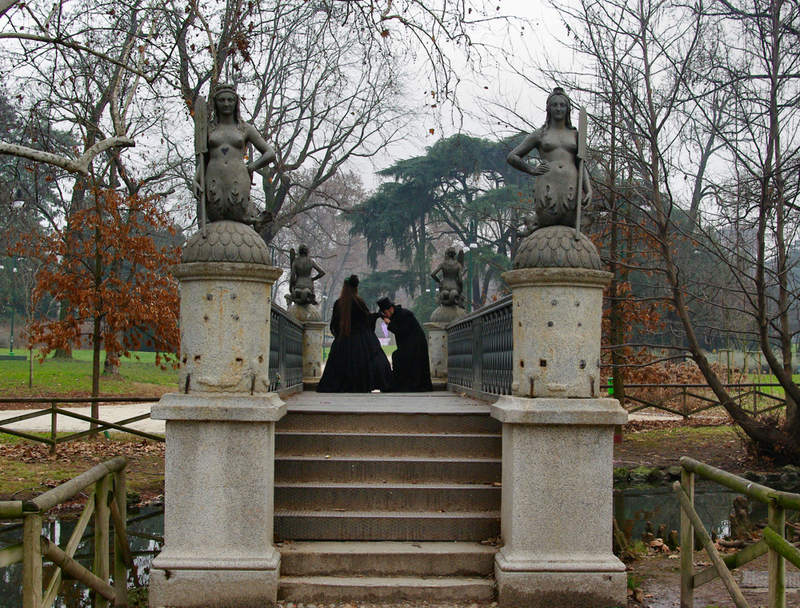 It is a beautiful setting for the bridge and its four mermaid statues, known as the Ghislini Sisters. After 170 years of watching life in Milano, they must have some stories to tell. With a flair for romance and an appreciation of bygone times, this scene was observed on the Bridge in recent times. See more photos and video on the Ponte delle Sirenette page.